Resolute was founded in 2016 by Jordan Toms to inspire people to meet their full fitness potential whilst also helping to beat cancer. In 2015 Jordan was a normal university student nearing the end of his Business degree. He had plans to go into Ski Instruction for a year before coming home into a sales role after graduation. 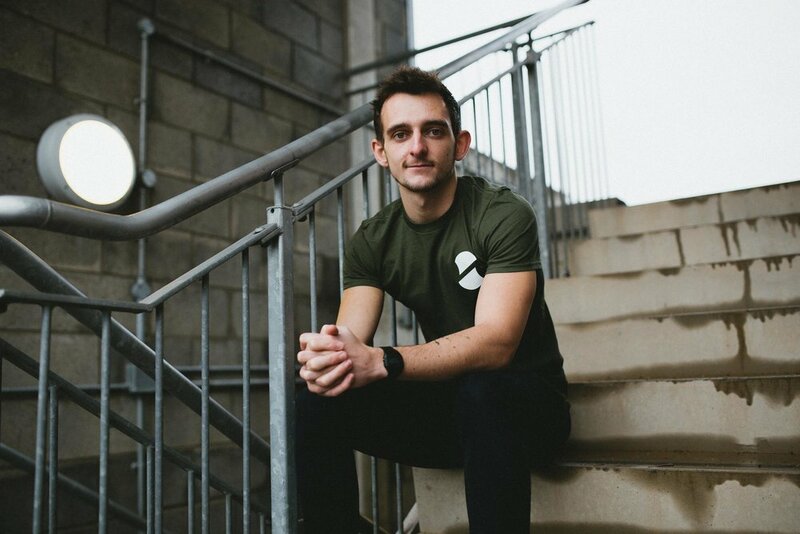 In March 2015, just before the end of his final year, he unfortunately suffered a seizure and shortly after was diagnosed with a brain tumour (Oligodendroglioma) at 23 years old. If you had to choose one word to describe how he has been since this life-changing news, it's "Resolute". Jordan and Dad after brain surgery in June 2015. Focussed, unwavering and determined to get better; Jordan took in his situation, went back to University, completed his degree, came home and then trained all the way up to the day of his surgery. The operation removed 90% of his tumour but also left him with significant weakness all the way through his left side. Going from a healthy 20-something that trains 4 times a week to someone who couldn’t grip his fork confidently was a big blow to Jordan but we witnessed him shake it off and get straight back into training as soon as he physically could. Over the past year he has had to learn how to walk, talk, run and even just squeeze toothpaste onto a brush. We all know training our bodies to be stronger, leaner and healthier is about constant hard work and struggle but having to re-train your brain to do the most basic, automatic, movements is something else entirely. Returning to the gym, bald from radiotherapy and rocking a large scar Jordan was understandably self-conscious. As someone who now just wanted to blend in and concentrate on his personal goal he saw the gym in a completely new light. It wasn't about vanity but instead about climbing your own mountains. No matter what you look like or where you are in your fitness journey you should only be measured by your hard work, focus and determination. His experience has been extremely difficult but also immensely valuable because he realised what to do to with the perspective and drive he's found, create Resolute. 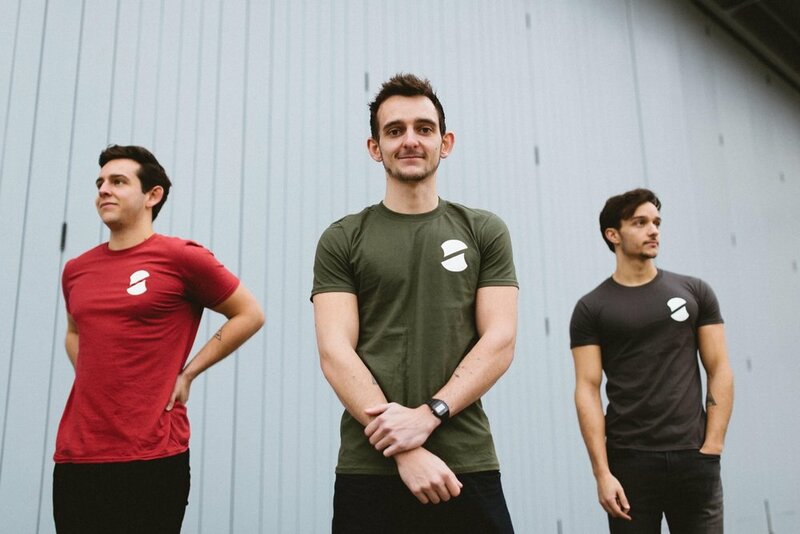 Partnered with his brothers Callum (Digital Media) and Adam (Personal Training) Jordan is realising his dream of launching an activewear brand that's about 'Substance over Style'. Resolute is a Health & Wellness brand born out of a desire to give more. We want to take the frustration, sadness and anger around cancer and encourage people to use it to meet their potential whilst also donating to cancer charities. Sadly we know our experience is not unique and far too many are suffering from this disease but the strength and determination you see in any cancer patient is what should be focussed on and even better, admired. Resolute will be giving a minimum of 20% of it's profits to the fight against cancer, forever. We are currently enjoying our extremely humble beginnings and we couldn't have got to this point without the generosity of people who feel Resolute is something worth making. If you'd like to donate to our journey you can do so here.